Paul Gauguin Cruises is offering voyages in Tahiti, French Polynesia, Fiji and the South Pacific that provide health and wellness opportunities for fitness-minded travellers. The Paul Gauguin has a retractable watersports marina for guests to paddleboard, kayak and windsurf from, and guests are welcome to check out complimentary snorkelling gear to use from destination beaches throughout their cruise. The ship also offers optional scuba diving courses and excursions led by its onboard dive team in the Society Islands, Marquesas and Tuamotus. Traditional Polynesian dance classes and sunrise Polynesian-inspired Zumba classes are also offered along with daily morning mile-long walks around the deck. Guests can enjoy swimming in the Paul Gauguin’s outdoor pool and working out in the fitness centre, which is equipped with lifecycles, treadmills, stair climbers and weight machines, or rejuvenate with an optional spa treatment in Deep Nature by Algotherm. The spa offers an extensive range of services and is enveloped in an atmosphere that is both tranquil and luxurious. Shipboard treatments include skincare therapies, skin exfoliation, massage, reflexology, aromatherapy, body wraps and facials. Relaxing overwater massages are available on Motu Mahana, Paul Gauguin Cruises’ private islet paradise. There are a variety of shore excursions offered for active adventurers on French Polynesia, South Pacific and Fiji itineraries including underwater walks in Bora Bora, snorkelling and swimming in island lagoons, canoeing the Riri River in Vanuatu, hiking in Varirata National Park in Papua New Guinea, ziplining in Fiji, waverunner adventures, hiking the Three Coconut Trails or trekking the Trails of the Ancients in Moorea. Guests embark upon a five-star culinary adventure, designed by some of the world’s most talented and award-winning chefs, including Jean-Pierre Vigato, Chef Proprietaire of Paris’ Michelin-starred Restaurant Apicius. All three dining venues and room service offer light and healthy menu options, along with vegetarian dishes. Every morning, the Paul Gauguin’s La Palette offers a wellness bar with blended fresh fruit and vegetable juice drinks. 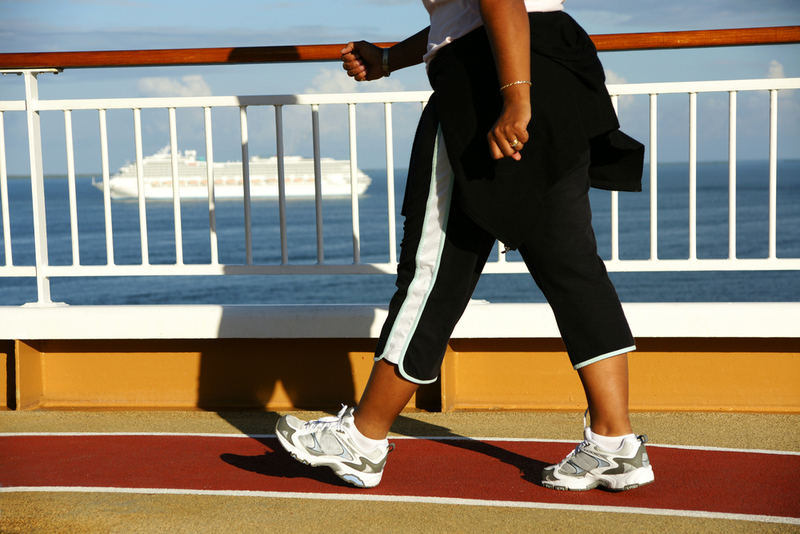 Special guests who specialize in health and wellness will be conducting lectures for guests onboard the Paul Gauguin. Cyndi O’Meara, a highly acclaimed, internationally best-selling author and nutritionist with 30 years’ experience will share her nutrition wisdom on the 12th November 2016 Tahiti & the Society Islands voyage. Fly cruise prices from £5,396 per person. Tom O’Neil, an award-winning motivational author and speaker has helped a wide range of people from students to CEOs achieve their personal and professional goals through his best-selling books, motivational speeches and one-on-one coaching. O’Neil will provide a series of lectures on the 24th June 2017 Fiji, Tonga, Cook & Society Islands cruise. Fly cruise prices from £6,628 per person. A healing, resilience and optimal performance expert, Dr Stephen Sideroff has developed a new and more comprehensive model of resilience that helps people achieve success while maintaining optimal health. A veteran of 600 talks and workshops to audiences around the world, Dr Sideroff will offer insights into integrating the most advanced scientific and behavioural technologies with ancient traditions for optimal mind and body functioning aboard the 15th July 2017 Cook Islands & Society Islands sailing. Fly cruise prices from £6,892 per person.